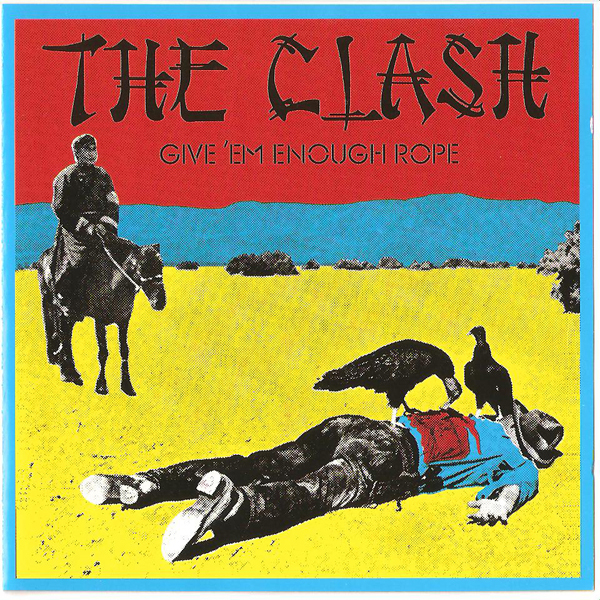 The Clash released their second album “Give ‘Em Enough Rope” on November 10, 1978. 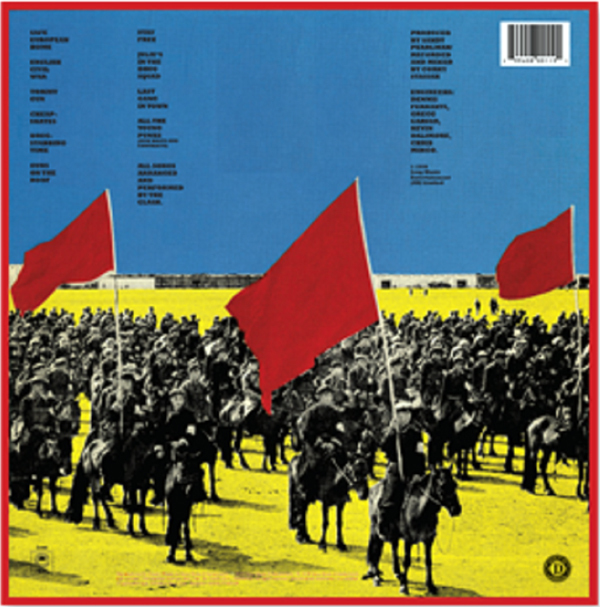 The album cover features a painting in stark flat colors of a Chinese horseman looking down at an American cowboy’s body being picked at by vultures. Joe Strummer and Mick Jones had come across a painting titled “End of the Trail for Capitalism” by Berkeley artist Hugh Brown on display at San Francisco’s punk rock hangout Mabuhay Gardens. I am assuming Brown made the painting and Greif put it all together for the album cover and the back cover. 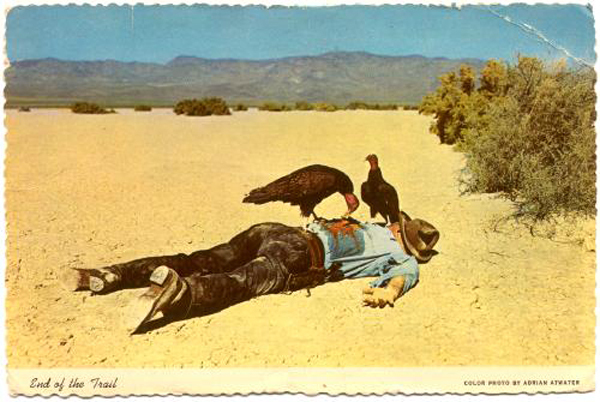 Believe it or not you can find the original postcard for sale on ebay and other websites for a few dollars. I am gonna pick one of these up for sure..